The titanic stone slabs on the cover may suggest a more doomy sound, but Neter plays straight-up death metal and has been doing so for a good 14 years. The band has had some line-up changes through the year but appears to be still going strong with this release of ‘Inferus’. The production of music will never be called prolific for these guys. That’s fine of course, but with a mere two albums to their name, you’d be surprised to find that there’s not a lot of other projects going on. In no way does that say anything negative about the gents, who produce a solid slab of death metal with this release, reminiscent of Immolation and Nile. After a gentle piano intro, we launch fully into it, with crushing riffs and melodies, that hint of a mysterious oriental theme on ‘Faceless’. 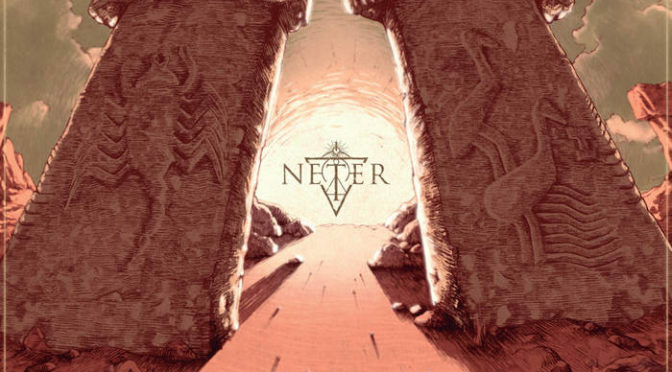 The sound of Neter is threatening, dark and ominous, but also very clean polished and full of technicalities. The thudding drums never seem to stop and prod the songs forward with a steady surge of heavy bass behind them. Perhaps the tunes by Neter sound a bit stiff after a while. The steady pummeling doesn’t really show much variation, apart from the melodic guitar parts that appear here and there. On a tune like ‘Galvanize’, they are slightly more present, but still swamped by the rhythm section and the barked, guttural vocals. During a song like ‘Endemic Warfare’, it even goes down to a fragmentary presence, as the drums keep hitting hard and pushing the song towards it’s end. No one expects the dark inquisition! 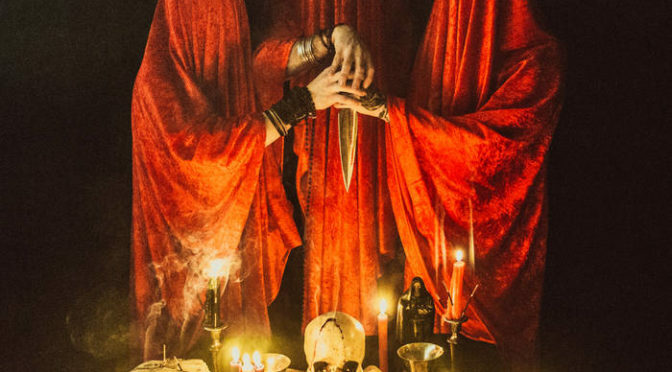 On first sight, the Spanish black metallers might evoke the idea of Batushka, but Qayin Regis is something else. This debut EP ‘Blackthorn’ is their first offering to the realm of dark music and little information is available about this band. ‘Blackthorn’ kicks off with ‘Niantel’, which offers much what you’d be expecting to hear from this band. This grim and dark record explores vast crypts and impressive, vast castle walls made of cold stone. An ominous gloom is represented in the cold riffing and ghostly vocals, while the rhythm simply batters on in merciless bashes. The band sticks with the classic black metal sound, enriched with some ecclesiastic chanting here and there. The catchy heavy metally riff on ‘Sceptre of the Shadow of Death’ also catches on in a big way. I particularly like how within the construct of the music, the vocals consistently evoke the feeling of shady halls in an abandoned mountain castle. Dark, looming shadows fill the rooms, where the unearthly denizens dwell. That’s the thing with a vampire’s abode. The vocals are guttural, like an evil priest muttering incantations over repetitive blast beats. There’s a constant surge of atmospheric effects, over what in essence stays close to an almost death metal-esque rigidity. Pounding drums hammer ever onwards, while the guitars add minor feeling to the sound. The progression is steady on both tracks, while ‘Prunus Spinosa Litourgiya’ functions as an outro for Qayin Regis. What a trip. The first time I experience a grindcore show I just didn’t know what to do with it, untill a Mike Alexander van Putrescence explained it to me. One of the first bands I enjoyed then was Looking For an Answer. This Spanish band produces some highly political grindcore with a sharp edge and has been doing so since 1999. ‘Dios Carne’ is their latest effort. ‘Dios Carne’ is a rolling, thundering keg of fury, unleashed in 14 typical short bursts of hatred. Opener ‘Deflagración’ is the longest track of the album, clocking right at 4 minutes and 17 seconds. The doom and gloom intro sets the tone for the world view the band wishes to convey on their fourth full length. The songs actually have a bit of a sludge element worked into them. Slow and steady, sticky and heavy, those are terms that aptly describe the music of Looking For An Answer. That heavy swampy sound is a particular element on this album, the muddled sound represent the drag of society, its futile, complexities and horrors. Looking For An Answer makes that tangible in the chasm of despair that their record sounds like. Ofcourse, there’s also the blistering, all destroying grindcore tracks. Setting fire to the world on ‘Apoteosis’ or the creeping ‘Demiurgo’, the sound of war is here. Grindcore is still very relevant when we adress the atrocities of our world. Looking For An Answer offers the answer to what that should sound like.